Reconciliation sounds great as an idea, but how do you reconcile with someone who’s bitterly hurt you and won’t even acknowledge that he or she has done wrong? Isn’t forgiveness a two-way street? Forgiving those who hurt us is our business. Making our forgiveness contingent on the other person’s admission of guilt is just another way of demanding justice and insisting on our “rights.” That’s a subtle form of pride. Jesus forgave his murderers even as they mocked him on the cross. His forgiveness was a free gift, no strings attached. We can’t follow him unless we do the same. However, you’re right that when a breach exists between two people, it can’t be healed unless both sincerely want it healed. Even then, someone or something has to provide a means of bringing them back together. That’s God’s role. Reconciliation is the work of God. Seeking reconciliation is our work. We need to do whatever we can to make peace with others, and then leave the rest in the hands of God. But if justice is a good thing, why would I simply walk away from it when it comes to my own needs? You shouldn’t. It’s always reasonable to insist on being treated fairly and honestly, and we’re obliged to treat others in the same way. Unfortunately, you and I and everyone else are also sinners – which means that, inevitably, we’ll treat others unjustly and be treated unjustly ourselves. As a result, life can very quickly become a web of angry claims and counter-claims against each other, many of them just, and most of them unresolvable. The only way to cut our way out of this tangle is to forgive. Forgiveness is an act of freedom. It creates new possibilities. It frees us from the burden of our own wounded selfishness, and it releases others to forgive and get free as well. Handing our claims over to God unburdens us of a huge weight – a weight which will cripple us, no matter how legitimate our complaints, if we carry it too long. We always work more effectively for justice on behalf of others. When it comes to our own personal situation, the self always gets in the way and clouds our judgment. The great paradox of God’s plan is that we only achieve justice through the practice of mercy. Mercy changes both the giver and the receiver. It softens the hardened heart. That’s why Scripture so often likens mercy to water in a desert: It brings new life. It encourages conversion and love, which breed acts of justice, which builds peace. So if you want justice for yourself and for others, forgive. Put mercy first. Justice will follow. Why do I need to indict myself to get ready for Easter? Isn’t Easter the season of new life? Where’s the joy in spending Lent as the prosecutor at my own trial? We owe ourselves exactly the same mercy we owe to others. Vilifying ourselves isn’t the point of Lent. Purifying our hearts is. Lent is the time when we learn the language of repentance and forgiveness by disciplining our mind, our spirit and our appetites, so that nothing prevents us from hearing God’s voice and seeking him out. The joy in Lent comes from our confidence in the resurrection of a Savior who will deliver us from sin and restore us to life. Lent is an opportunity and a grace, not a burden. May we use the weeks of Lent this year to clean and ready our hearts so we can receive Jesus Christ this Easter, and share his life throughout 2014. Lent is here, my wake up call: just do the homework and wait for the Eastern Miracle…! Sure are challenging words but if heeded very freeing. Have recently gone thru a relationship that needed healing and forgiveness.Your so right about the SEEKING of reconciliation is our job, RECONCILIATION is God’s job. This has been ongoing for 2 1/2 yrs but with the gift of trust which isn’t easy to do when your hurt, peace has entered my situation. Strange but we’re getting the same challenges at mass on sunday. I thank God every day for you and out pastor and also pray for all our priest and seminarians. Thank you and God love you, Archbishop! I needed to hear those words. Very wise and good advice and perspective. 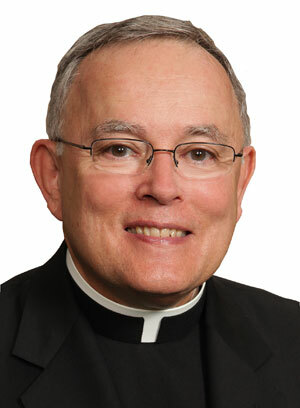 Thank you so much Archbishop CHaput for your message on Facebook,I live in another Diocese and look forward to receiving these messages.Very helpful! Once again, Archbishop Chaput provides us with words that will give us much comfort if we take them to heart. His closing paragraph alone is one that surely lets us know that faith will lead us to the inner peace that many of us are seeking. The coming Lenten season will help us to find the way.